Home2 Suites at 524 Aviation Road in Queensbury is now open, offering 92 rooms with full kitchens and amenities, a laundry facility and a fitness center. Since the recent opening of the Home2 Suites in Queensbury, General Manager Kristen Collura said the staff has been busy and busines has been brisk. 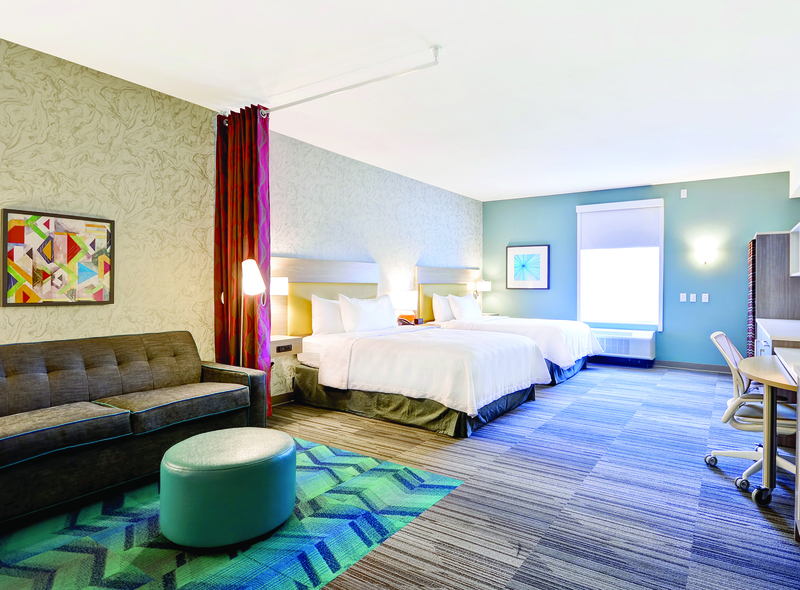 Collura said customers have been pleasantly surprised with all the hotel has to offer, including its prime tourist location, off Northway Exit 19, near the Aviation Mall. The hotel can be a vacation on its own, with a mountain view, a patio with a fire pit, a patio with barbecue grills and saline swimming pool. “We opened to a very busy hotel. The property has been well received by our guests. They are loving the fire pit area and the barbecue grills. We have families hanging out, cooking out, listening to music, and just enjoying being here,” she said. The construction on the left is a 20,000-square-foot expansion project at Flomatic that will add more space for manufacturing, research and marketing. It is expected to be completed by October. 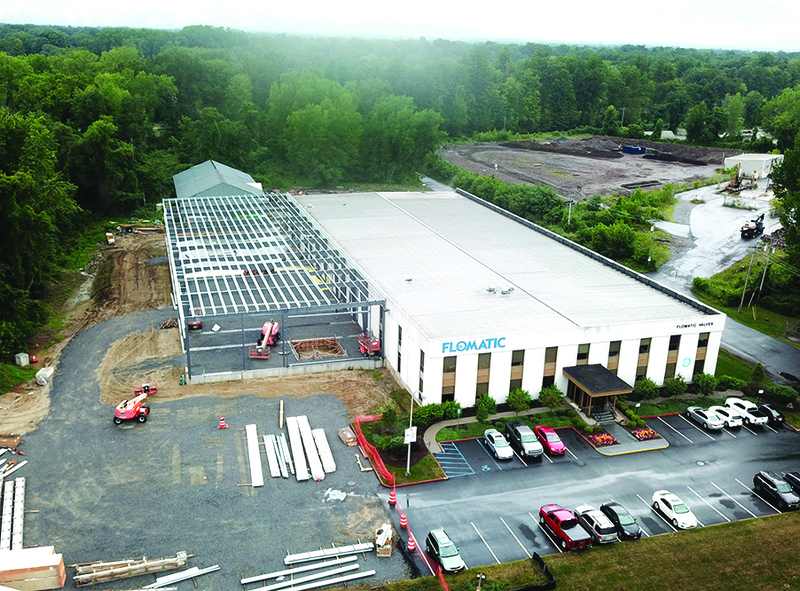 Flomatic Corp. in Glens Falls, a manufacturer of valves for water, wastewater, and irrigation systems, is adding 20,000 square feet of manufacturing, research and marketing space to its plant at 15 Pruyn Island Drive. The result will increase the size of the facility by more than 40 percent, the company said. Construction of the addition began in April and is scheduled to be completed in October, officials said. Total cost is estimated at $3.3 million. A state grant of $660,000 will cover 20 percent of the cost. When the expansion is completed, Flomatic expects to hire about a dozen new employees for technical, administrative, production and warehouse positions. Currently, the company has 45 employees. 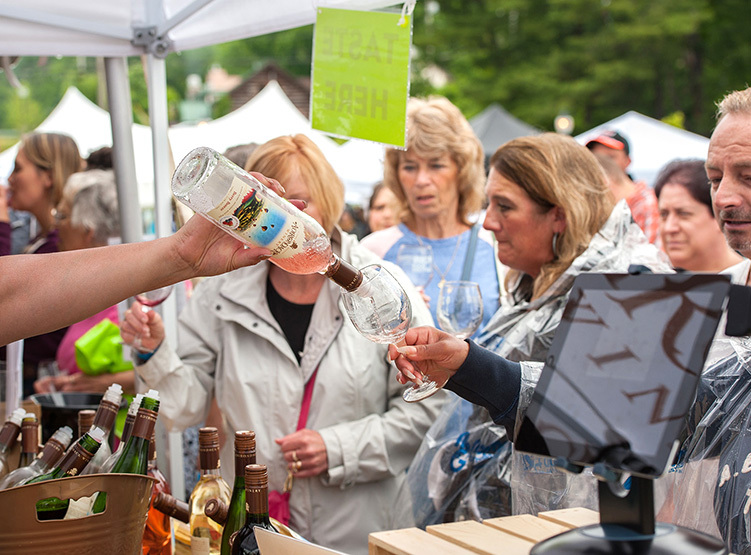 A total of 6,376 tickets were sold for the Adirondack Wine & Food Festival in June. The 2018 Adirondack Wine & Food Festival was the biggest yet, with a record 6,376 tickets sold and an estimated $1.87 million economic impact on the Greater Lake George Region, according to organizers of the event. Despite a weekend filled with rain, the event sold 8 percent more tickets than last year. Counting festival vendors and volunteers, 6,393 passed through the gates over the course of the festival’s two days, breaking the previous attendance record for Charles R. Wood Festival Commons in the Village of Lake George. The event was held June 23 and 24. Mark Behan of Behan Communications is this year’s recipient of the Henry Crandall Award. 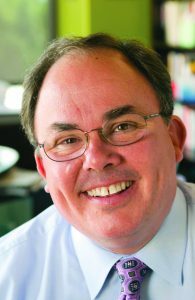 Mark Behan of Behan Communications is this year’s recipient of the ninth annual Henry Crandall Award given by the Crandall Public Library. The award will be presented at the library’s annual gala on Sept. 28 at the Hiland Park Country Club, 195 Haviland Road, Queensbury. Each year, the award recognizes an individual who has demonstrated the values and legacy of library founder Henry Crandall (1821-1913), including generosity, perseverance, loyalty, compassion, civic pride, and philanthropy. Recipients have affected the improvement of the community and demonstrated commitment to Crandall Public Library. Behan, a former member of the board of Crandall Library, founded the public relations firm Behan Communications in Glens Falls 30 years ago after a career in the newspaper industry. Active in the community, he serves as vice chairman of the board of governors of Glens Falls Hospital; co-vice chairman of the board of trustees of The Hyde Collection; a member of the board of the Glens Falls Foundation, and a director of Glens Falls National Bank and Trust Co. and Arrow Financial Corp.
Kris and Heather March work on the tin ceilings at Slickfin Brewing Co. in Fort Edward, a craft brewery the couple is starting up. They hope to be ready to open in November. 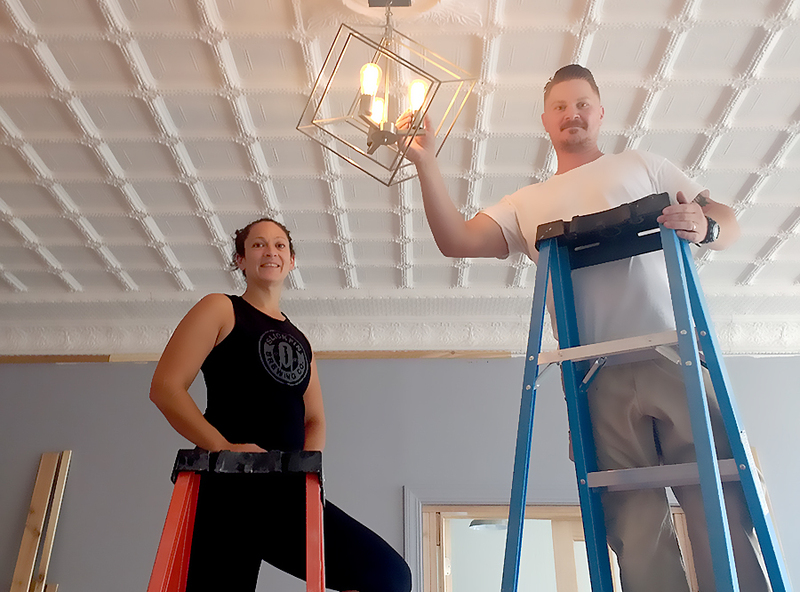 Kris and Heather March are working hard to meet a planned opening of Slickfin Brewing Co. in November. The brewery and tap room will be located at 147 Broadway in Fort Edward. Kris said he first became interested in brewing when he was in the U.S. Marines, stationed in the Middle East. In 2012, he began developing recipes in earnest, with the help of his friend. They began entering competitions and did well, prompting them to seriously consider opening a brewing company and tap room. By 2016, the Marchs were out of the military and had a young daughter. Kris was working in the robotics field in Boston and making a weekly commute between Fort Edward and Boston. After a year, he decided to pursue his passion for craft brewing full-time. He quit his job in 2017 and began renovations at the Broadway location. The Lake George Regional Chamber of Commerce is working with Lower Adirondack Regional Arts Council (LARAC) and the Adirondack Folk School to assemble a new holiday event, the Adirondack Christkindlmarkt. The European-style festival translates to mean “Christmas Market,” according to special event and convention sales director Kristen Hanifin. “The idea initially came from a meeting that the executive director of ADK Folk School, Scott Hayden, and I had over coffee about a year ago,” said Hanifin. She lived in Europe for 12 years and has attended several German Christkindlmarkts. The events had music, food, rides, entertainment, handmade ornaments and crafts from artisans located in the region. The Lake George Regional Chamber of Commerce & CVB is teaming up with Collette Tours to offer a trip to Rome and the Amalfi Coast in March 2019. Included in this 10-day trip are 13 meals and an itinerary including beautiful accommodations and tours of historic sites in Rome as well as a the excavated ruins of Pompeii and a winery at the foothills of Mount Vesuvius. Attendees will explore a Mediterranean paradise on the Bay of Naples, cruise to the island of Capri, tour a local Buffalo milk mozzarella factory and more. Airfare and transportation to and from the airport is covered in the price. Contact the Chamber at (518) 668–5755 or info@lakegeorgechamber.com. “Adirondack Archangels: Guardians of the High Peaks,” a book by Christine Bourjade and Alex Radmanovich of New Russia, and Montreal, Quebec, respectively, has been named by the Independent Book Publishing Professionals Group as one of the best indie books of 2018. The Adirondack Thunder in action at the Cool Insuring Arena in Glens Falls at their last game of the 2017-18 season in May. Tickets are on sale for the upcoming season. Tickets are on sale for the 2018-19 season of the Adirondack Thunder. The price of a season ticket remains unchanged at $13 per ticket per game. The total for a season ticket is $540 including all taxes and fees. 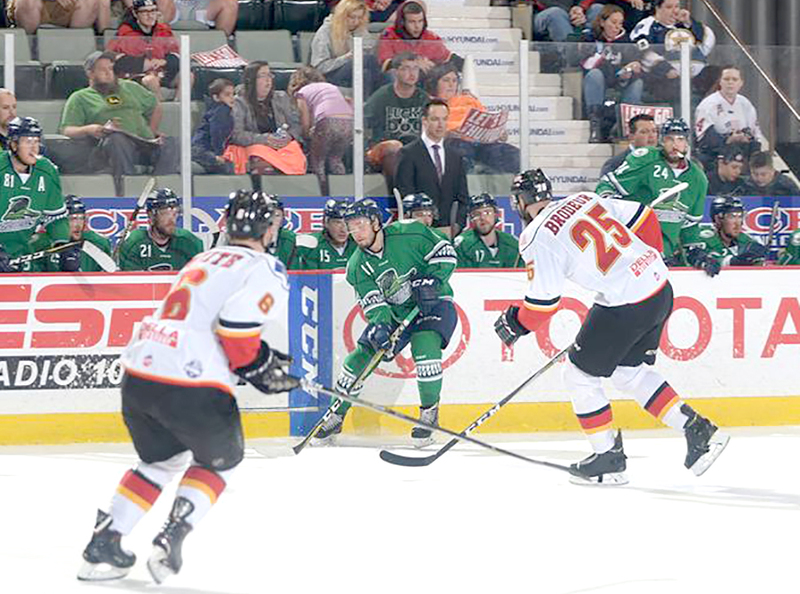 A season ticket includes tickets to the preseason game on Oct. 5, all 36 regular season home games and the first two 2019 Kelly Cup Playoffs contests. Children aged 12 and younger can have their own season ticket at a youth rate of $387 for the 2018-2019 season. For the second year in a row, all Thunder season ticket holders will be offered a ticket to a New Jersey Devils game at no additional charge. 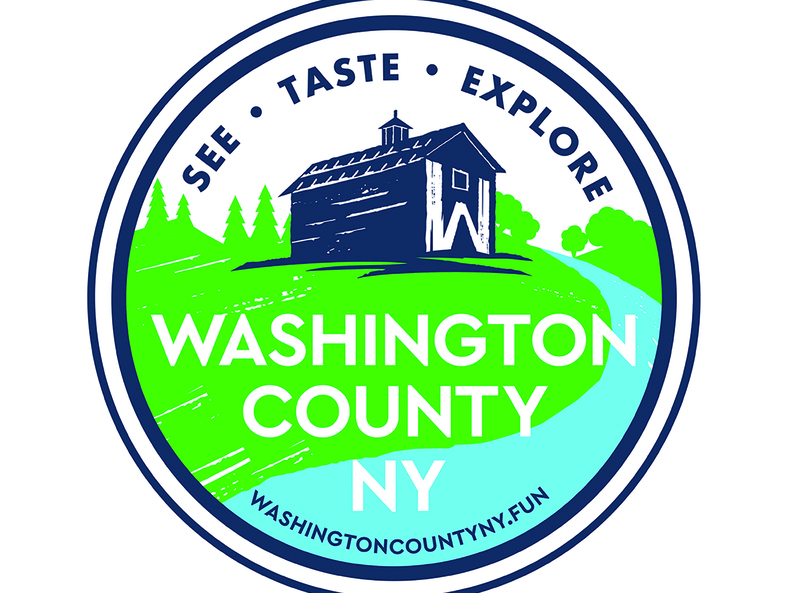 This is the logo being used in Washington County’s new branding and promotion endeavors aimed at making the county a key player in the New York and New England tourism markets. “See. Taste. Explore” is the new brand behind an effort designed to position Washington County as one of eastern New York’s most exciting destinations for those seeking to enhance their historical knowledge, take in arts and cultural sights, and find good food. The marketing campaign began this summer. Officials hope it serves as a driving force for Washington County to become a key player in the New York and New England tourism markets.